Oh man, today was a really awesome day. Like, I’m not sure that I can contain all the awesomeness in this one blog post. But, “do or do not, there is no try” sayeth the Jedi prophet Yoda. We thankfully had a change of plans for today’s events. Yay! But what that meant was that we didn’t have to wake up at some ridiculous time in the morning (like, 4AM) so that we could catch the Youth Mass for the March for Life. Instead, our little band of pilgrims visited the Arlington National Cemetery. Now, I’ve seen pictures of it in books, movies, and the Internet. But to experience it first hand was something of an entirely different sort. Walking around the grounds, I’m literally surrounded by the men and women (some kids too) who have laid down their lives in service to our country. It’s truly humbling because it makes me wonder if I’d be willing to do the same or if I would be willing to fight for what’s right—even at the cost of my life. But, here lie the men and women who fought on our behalf so that we may live our blessed American life and freedom. As a Fightin’ Texas Aggie, something just resonates within me seeing the graves (maybe due to Texas A&M’s military background and history…). We arrived about 30 minutes before the “changing of the guard” at the Tomb of the Unknown Soldier. So, we directly headed there. Once we arrived, I got to witness the “changing of the guard” and learn a little bit about the 3rd Infantry Regiment, who are the guard. The precision is ridiculous! I need to look them up and learn more about the guard. The next place we visited in the Cemetery was President Kennedy’s gravesite. Unbeknownst to us, we witnessed a military funeral going on not too far away while we were visiting the Kennedy gravesite. 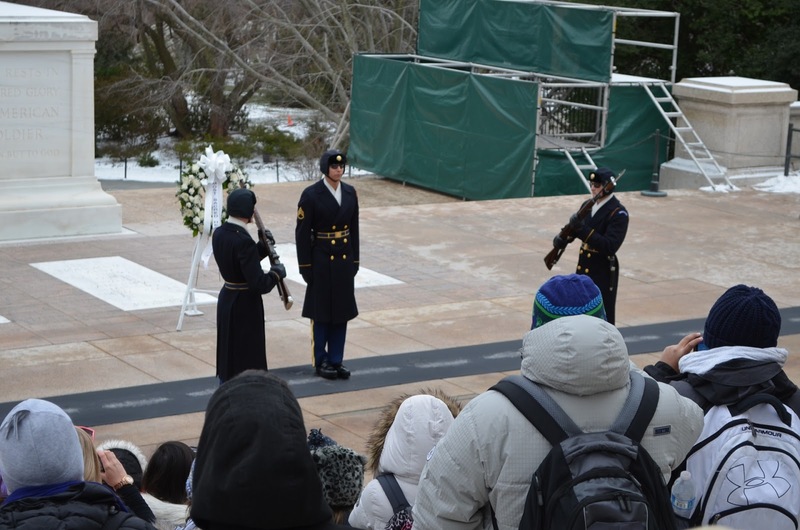 Actually, that whole experience of watching a part of the funeral service was the most memorable and remarkable experience while at Arlington simply because it really illustrated the reality and purpose of Arlington National Cemetery. Wow, it’s crazy to think that it has been almost been a month since my pilgrimage. Here’s why I’ve been so busy and silent on my blog: A Time of Silence. Allow me to revisit our witnessing of a live funeral ceremony not too far from JFK’s gravesite. Apart from seeing the funeral going on nearby, I distinctly remember seeing the soldier standing guard at JFK’s gravesite. His simple purpose was to make sure visitors weren’t doing anything disrespectful while the funeral was going on. But, what impacted me the most about him was seeing his face. Watchful guard, yet deep sorrow. A very solemn occasion in commemorating a fallen soldier, and it was evident in his face. The only way I knew how to relate was thinking about all those times I’ve been to Silver Taps and Muster at Texas A&M where we honor those Aggies who have fallen. Death is such a reality. And it is so evident at a cemetery. Arlington National Cemetery, at that. After visiting the Cemetery, we headed back towards the Metro to ride our way back towards The Mall for the March For Life. 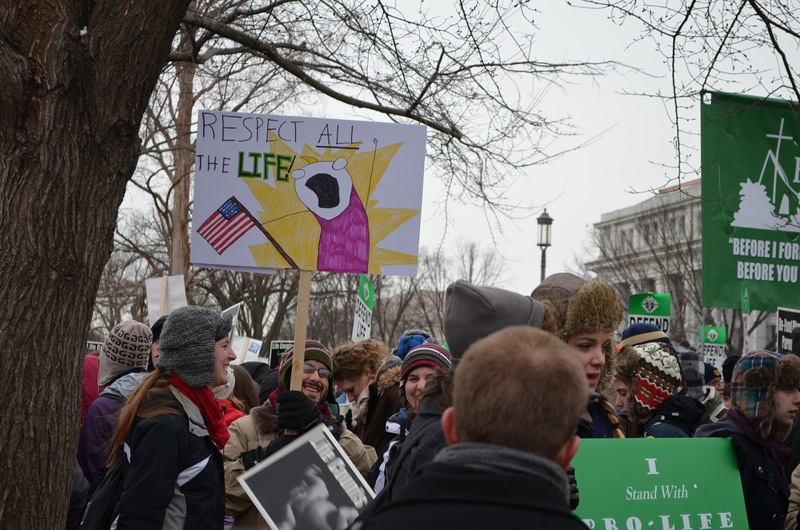 This is my first time attending any March for Life, and I remember hearing from fellow parishioners who went last year that a lot (A LOT) of people go to this March for Life in Washington, DC. I think last year they reported something like 300,000+ or 400,000+. But this year is different. This year marks the 40th anniversary of Roe vs. Wade, which is the Supreme Court decision that legalized abortion in the United States. We stepped off the Metro and headed topside at a station near The Mall. When we emerged from the Smithsonian station, I could tell there were already a lot of people here for the March. A stage was set up on the central-eastern part of The Mall, and everyone was gathering near there. That’s about where the March was going to start. Here’s a map of the route: Route for March for Life 2013. My group reached the outer fringes of the mass of people and decided to camp in one spot while we quickly ate our sack lunches. I was just mesmerized at seeing so many people, though I know I wasn’t even in the middle of everyone. 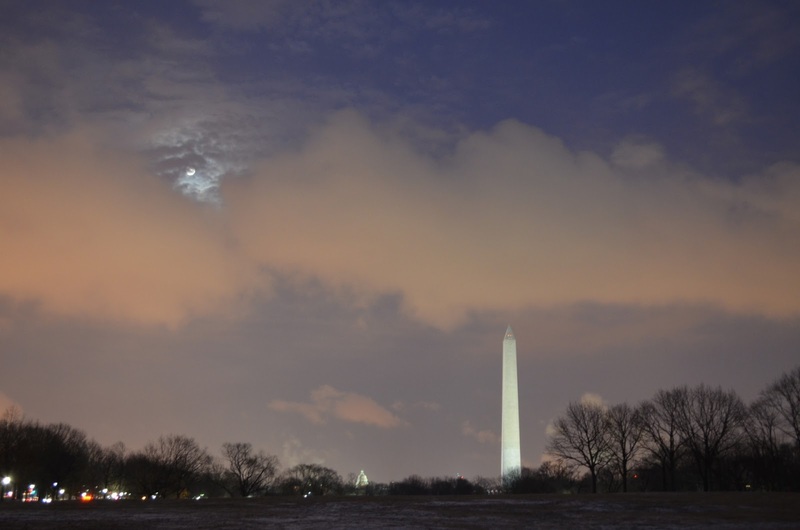 Despite being near freezing temperatures and the threat of snow, many were gathered and gathering. 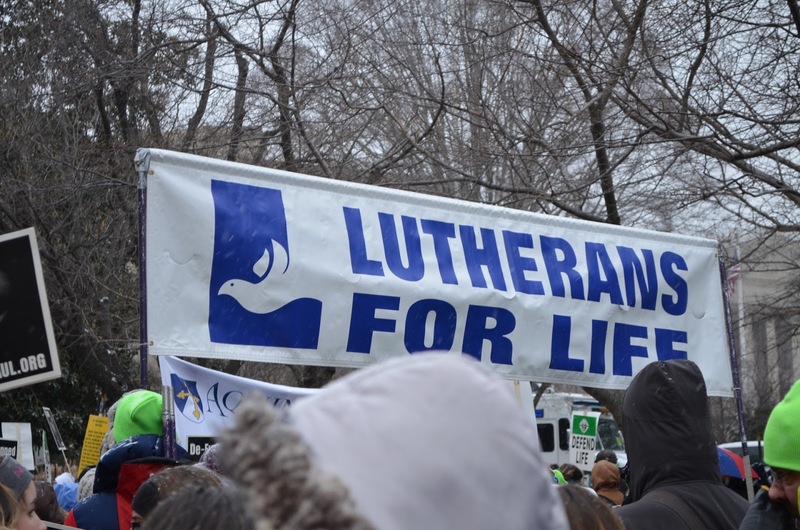 Though I didn’t notice many obvious banners representing non-Catholic groups, I know that we Catholics are not alone in the pro-life movement. The right to life is universal, and I find it encouraging to see other non-Catholic groups have fervor in the pro-life cause. We progressively moved our group towards the starting location for the March. This made it difficult to let guys from my group know where we were at because some of them had to stay behind in the Metro to take care of some Metro ticket issues. And we were still eating while moving. Really cold, but not soggy, PB&J sandwich and really cold Cheetos tasted remarkably good. I guess I was really hungry. In the cold. Around noon, the March for Life started. It was around that time that it started to snow a little. We moved rather slowly because a massive group of people moving through streets in Washington, DC is…well…slow, lol. As we were marching (but not in the marching band sense, though I would be the type of guy to make that joke), I kept looking around seeing who was also there and kept noticing how the snow progressively got worse. Yes, lateral slides were necessary at times. I remember passing by some people on the street blasting a sung version of the Divine Mercy Chaplet which was cool. How can we show mercy to others (women and their babies) if we don’t know of God’s mercy, right? And my group also joined in on reciting parts of the chaplet. We even busted out in singing the Salve Regina and got some other groups around us to kind of join in. Continuing on the march, I also saw cool things like bands playing, people singing, guys dressed up as the Avengers (?! ), and EWTN stationed in one place since they were broadcasting the March for Life live. But at the same time, I saw some weird things like a video display that showed graphic images of aborted babies. :-/ I know the reality of different abortion methods and have seen such images in the past, but I thought it was inappropriate in this context. Well-intentioned to spread the pro-life message, I’m sure, but probably not the best way to communicate our love of life in public and in front of lots of children. Another weird thing I saw was another video display spreading pro-life messages but at the same time slamming the Catholic Church. As if we, the Catholic Church, were to blame for the inactions and injustices towards unborn and women… which perhaps, may be true in isolated cases, but not reflective of the actual actions of many in the Catholic pro-life movement. Oddly, I didn’t see any counter-protestors or pro-choicers letting their voices be heard along the march route. If they were there (which I’m sure some were), I didn’t see them. Not every woman that goes through an abortion loves the fact that she had one. 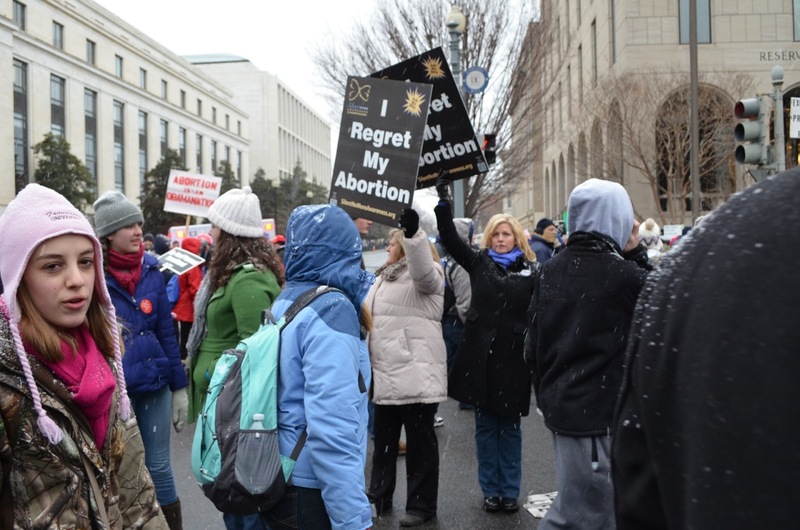 These women pictured above were promoting the Silent No More outreach program that encourages post-abortive women to seek help and to give them a voice about their regrets. We finally ended the March at the front steps of the Supreme Court Building where more Silent No More women were present. Some were giving testimonies about their regrets having an abortion. Yo dawg, I hear you like kids. So here’s a kid holding a sign with pictures of kids. My group didn’t stay for too long at the Supreme Court simply because were super cold and our leaders felt it would be wise to escape to warmth. From the Supreme Court, we made our way towards Union Station to regroup and warm up a bit. Unfortunately, everyone else had that idea, it seemed, and it was really crowded there was well. 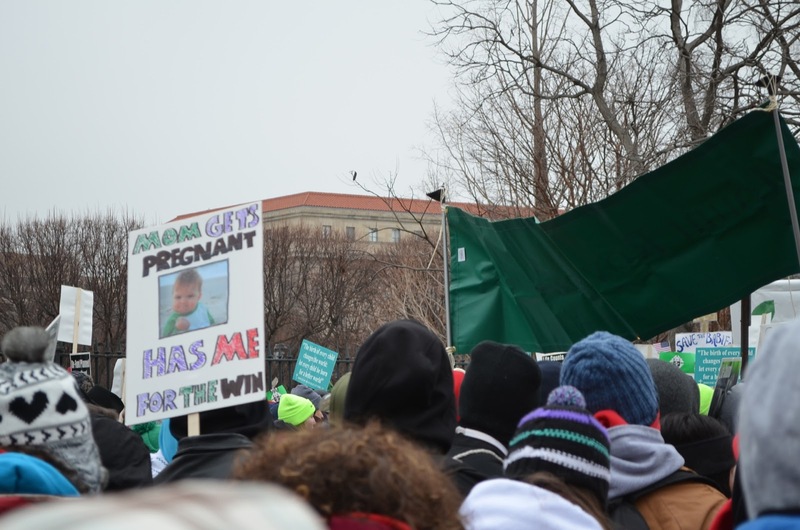 From EWTN’s coverage and other sources, there were more than half a million people present for the March for Life. I’ve heard/read around 600,000+, plus or minus 50,000. No big deal. 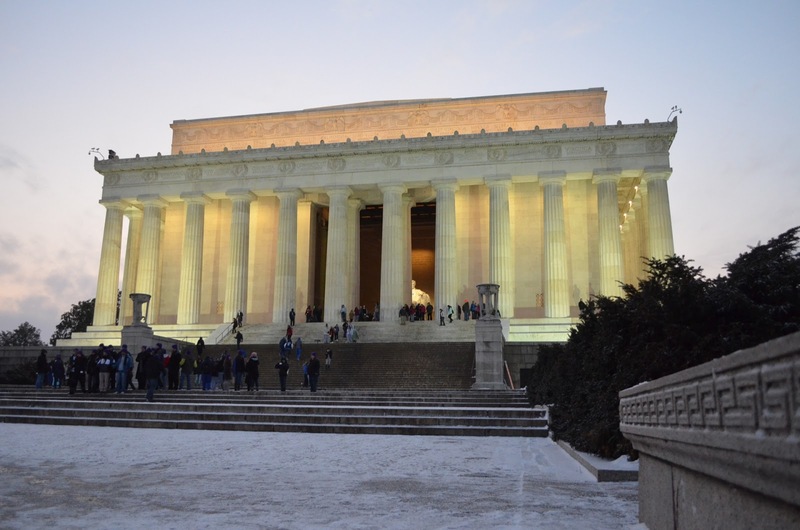 After warming up at Union Station, we headed back to The Mall to visit the Lincoln Memorial and the Vietnam Memorial. We’re all familiar with the Lincoln Memorial and how the statue of Abraham Lincoln sits majestically with his famous words on either side wall. This was my second visit to his memorial, and I still just stand in awe of his accomplishments as president during a crazy time during our country’s history. He’s kind of a big deal, and I’m grateful that the memorial still stands strong, free from careless destruction by transforming robots in conflict. When the sun went down, our group walked a little bit over to the Vietnam Memorial. Again, this was my second time to visit this memorial. You know, I remember reading about this black wall when I was kid, and I remember wanting to see its shiny and smooth surfaces with names. Now as an adult, with better knowledge and appreciation of the meaning of this memorial, this second visit was quite solemn. 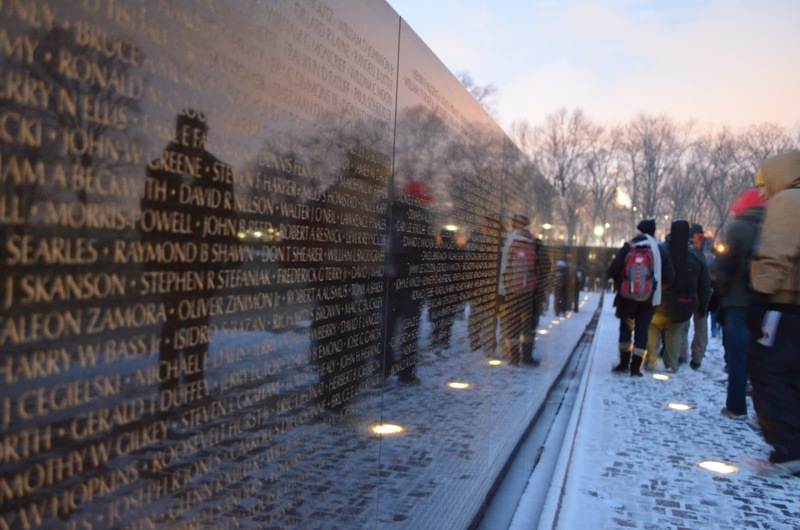 Solemn because here inscribed on the wall are the names of those lives lost during the Vietnam War. Many, many names. 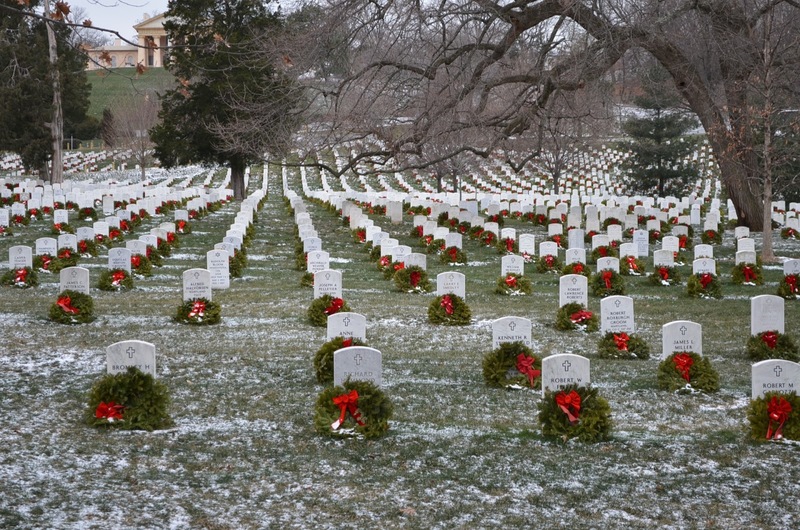 And I remember thinking about earlier in the day visiting the Arlington National Cemetery. There, too, are not just the names of those who served, but their resting place as well. After visiting these memorials, we headed back to a host family home to gather, reflect, and share about how this day impacted us. Reflecting and tying all the events of today really hit home for me on…life. How precious it is! We memorialize those whose give the ultimate sacrifice of their lives in the service of our country. They lived lives, we’ve seen their faces, and we bury them with dignity, respect, and honor. Yet, we as a country do absolutely nothing for those lives lost due to abortion. Our own government and president highly encourages it! There is no memorial for the unborn lost through abortion. It is much easier to declare their lives as non-life because we don’t see their faces and they have no names. They have not yet done anything with their lives other than be and grow. Considered as mere “mass of cells,” their bodies are ripped apart and thrown away as medical waste or passed through a woman’s body because she purposely allowed her body to become an inhospitable place for a baby to grow. However, attitudes are changing and the fight for life continues. Seeing the witness of half a million people willing to endure the cold and snow on a Friday afternoon was really encouraging for me. 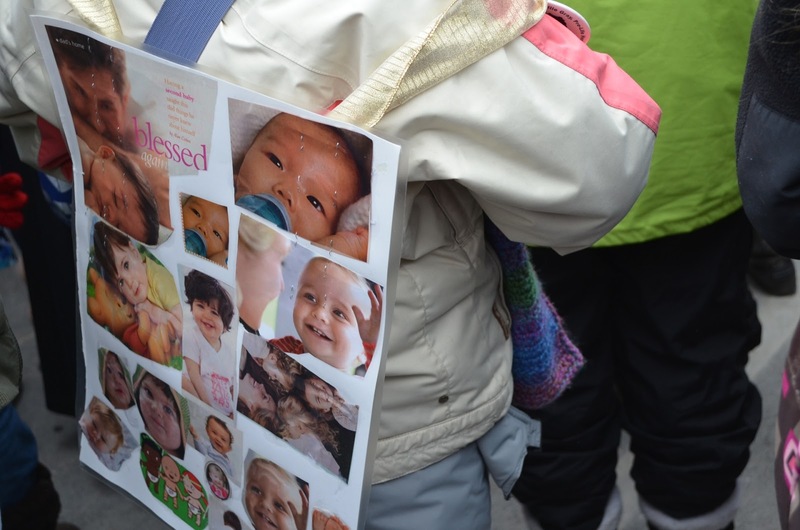 And again, this march was one of joy and peaceful protest–a celebration of life and speaking out against attacks on human life, especially in the womb. With so many young people present at the March, I have high hope in the future for the pro-life cause. And, this was not the only rally for life event in the country. A week before this March for Life in Washington DC, I know we had a group present at March for Life Dallas. The Saturday after March for Life in Washington DC, there was the Walk for Life on the west coast. And I’m sure other similar events were held around the country, but these were the ones I knew about. In response to today’s events, I am more motivated to continue doing my pro-lifey things. I have grown lax in my efforts lately, but now I have a renewed sense of mission and resolve to do…something…anything. 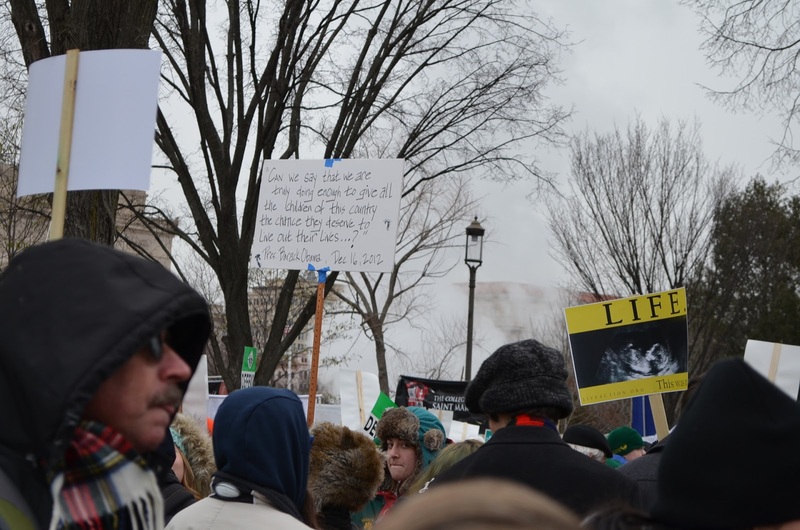 I’m not the type of guy who would attend such an event as the March for Life and not doing anything else afterwards. What is my response? How do I take these experiences back home with me? I think this will be the year where I step it up a little more than what I’ve already done. Not just for the unborn, but especially for their parents–especially their mothers. I do what I can. Last year was decently fruitful in my pro-life efforts–I hope this year is more of the same! And then some!